This Thursday, February 16, varsity boys’ basketball will play in the Somerset County quarterfinals at home. In addition, if the girls defeat Pingry in the opening round of the tournament tonight, Thursday’s matchup will be a double-header. 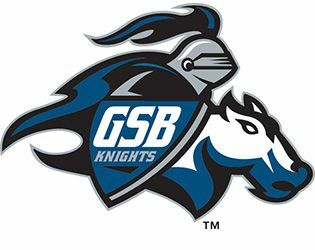 The game(s) will mark the culmination of Spirit Week, with Knights fans donning red in honor of GSB HAS HEART day and the Booster Club hosting a Knights Café in Brueckner Hall. Immediately following the game, Mr. GSB 2017 will be crowned. Admission for the game is free for GSB students, faculty and staff. Otherwise, tickets are $4 for adults, $3 for students and $3 for senior citizens. On Monday, February 20, varsity boys’ basketball (#12) will take on St. Anthony’s (#2) at home during the 17th annual Scholastic Play-By-Play Tournament. The game will follow a matchup between Frederick Douglass Academy and Timber Creek High School. For the tournament, the Booster Club will offer a range of concessions and spirit wear, including specially-designed tournament shirts for $20. Admission for the tournament is $10. The Athletics Department has reserved a limited number of tickets for members of the GSB community. There will also be a special section reserved for Knights fans, so that there will not be an issue with finding a seat. To purchase a ticket, stop by the Athletics Office. Knights Café begins at 6:30 p.m.
6:15 p.m. Gill St. Bernard's ranked #12 takes on St. Anthony's, ranked #2 in N.J.